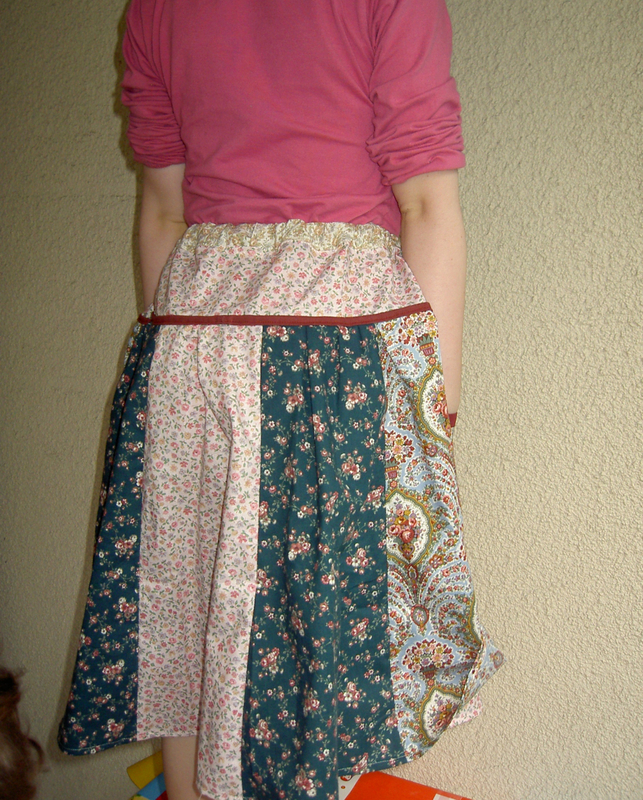 “Finish it up Friday” it is and I have finally stiched the elastic on the skirt I made Miss R to celebrate the Spring. It swings and flings and looks very patchworky! It’s not quite a quilt, but it’s the closest I got to finishing anything this week. 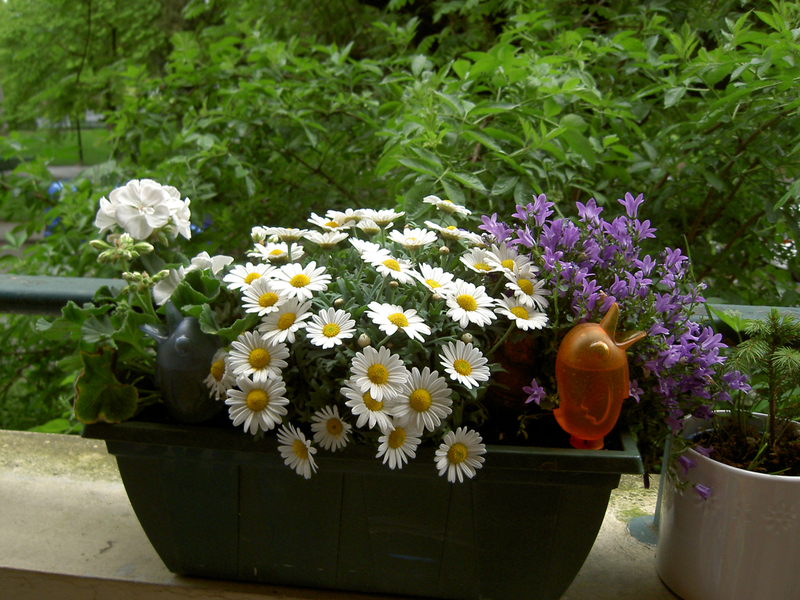 It was started — and very nearly finished — last weekend during our fabulous quilting retreat in the French Alps. 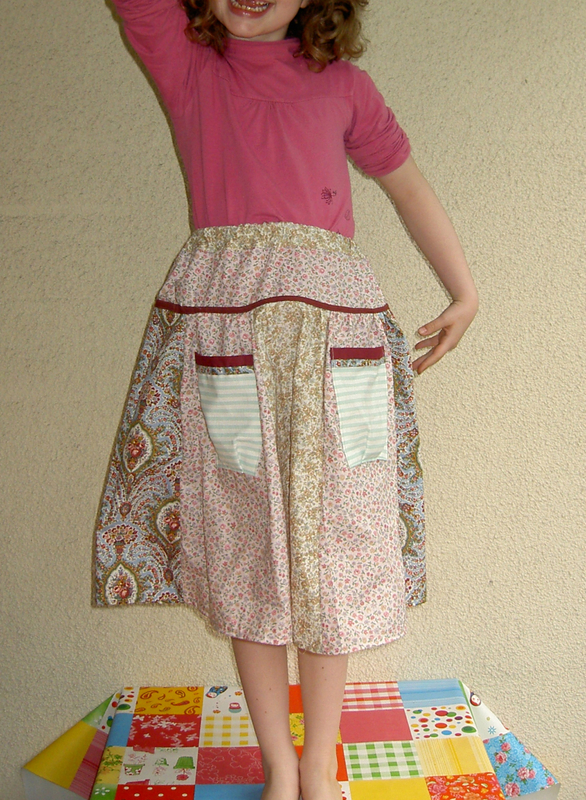 I had no pattern, but just got inspired by Miss E’s wonderful boxes of fabric. It certainly has the weight of Liberty, so perhaps it is, particularly those side panels? So I raided the lovely boxes of fabric happily, and started cutting A-shaped panels to fit onto the size of the scraps, with a vague plan in my mind. 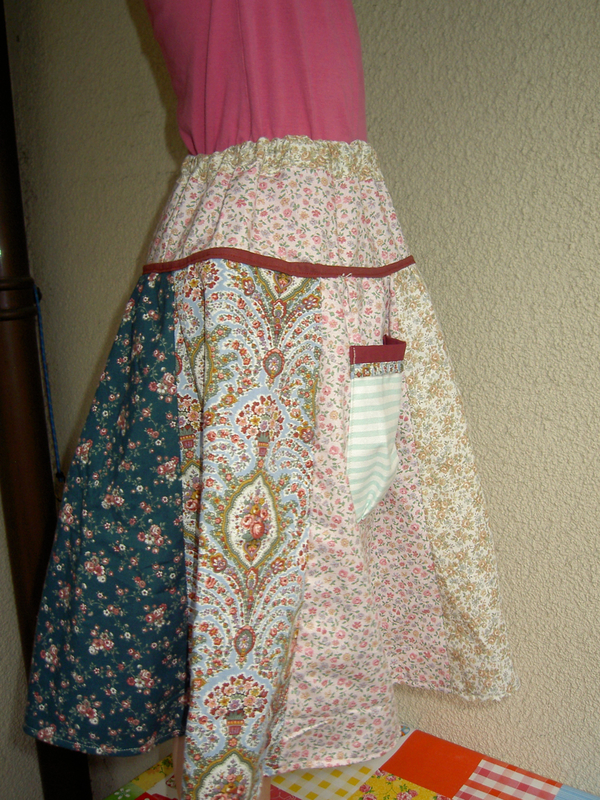 I definitely wanted pockets: every six-year-old needs pockets to fill with treasures! 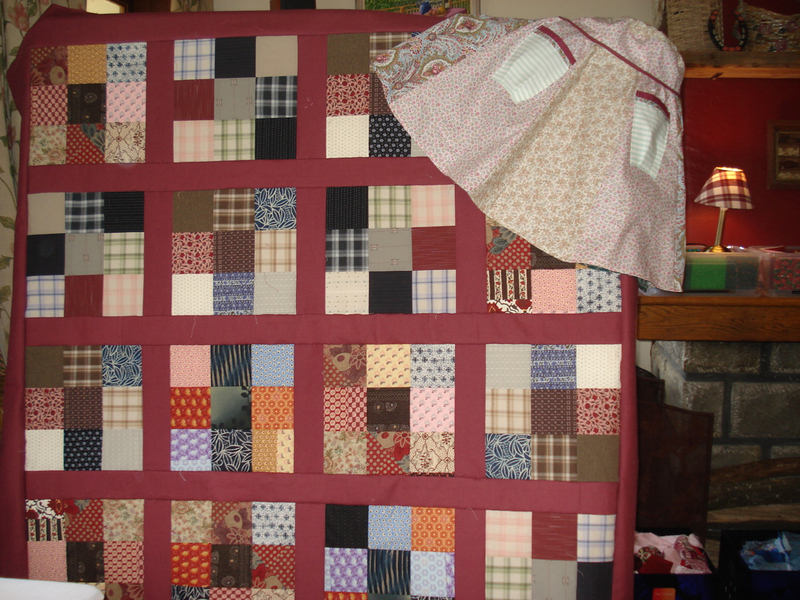 When it’s too small, I can still reclaim the fabric and turn it into a quilt, can’t I? I initially loved the effect of the burgundy binding in the middle, but actually it creates a rather rigid seam that sticks out at odd angles. Oh well, that is what happens when patterns are improvised. And no, taking photos of children standing on tables is not safe, and particularly when small brothers leave the kitchen unexpectedly and want to climb up too. Ooops!